Since we get this so often, we decided to spend some time researching other main players in the memory foam mattress space, and put together an easy to review comparison chart so you can see for yourself how they compare in these different categories. 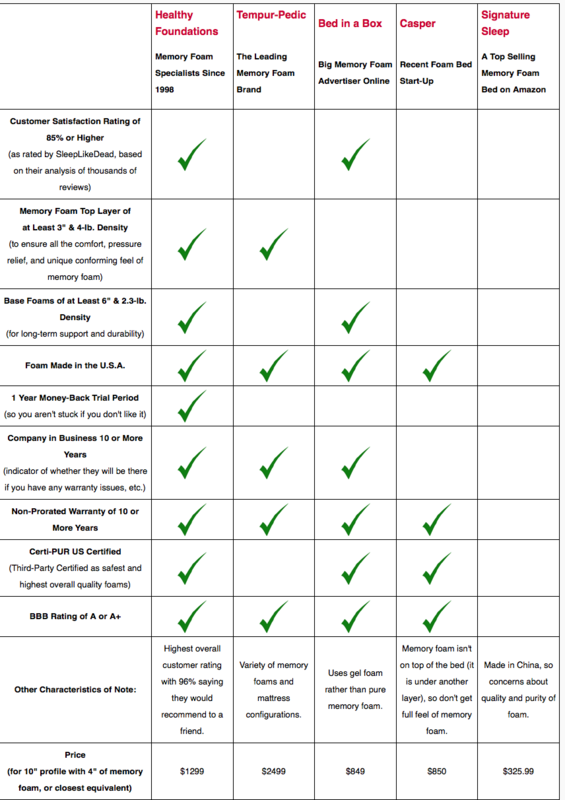 This chart compares and reviews five different types of memory foam mattress, each with a different “claim to fame” and each in a different arena: Healthy Foundations (memory foam specialists since 1998), Tempur-Pedic (the leading memory foam brand and huge advertiser), Bed in a Box (a big memory foam advertiser online), Casper (a recent foam bed start-up), and Signature Sleep (a top selling memory foam mattress on Amazon). Of course there are many other brands of memory foam mattress, but these five represent a well-rounded snapshot of all the different types of memory foam mattresses available: from the biggest name in memory foam to the cheapest to the start-ups. This chart simply shows that you get what you pay for (and don’t want cheap disposable memory foam from China), but that you don’t need to pay for a company’s multi-million dollar advertising budget to get a quality memory foam mattress either. 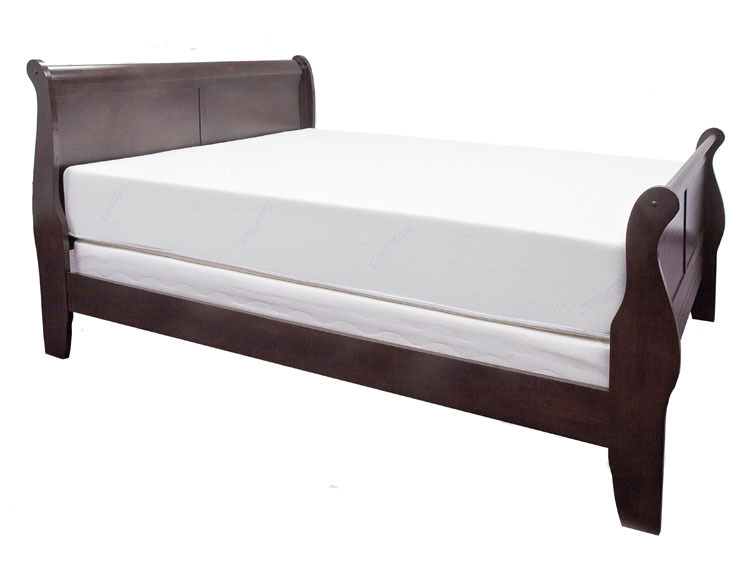 The bottom line is that while you can pay less or more for a memory foam mattress, there is a sweet spot where you get can get a mattress with the highest comfort ratings and quality of materials, but at about half the price of the leading brand — our 10″ Memory Foam Mattress. And as the chart shows, our money-back trial is far longer than the others — a full 365-day money-back trial. Or if you have questions or would just like to speak with someone, just give us a call at 800-607-0340. Next Next post: Best Foam Mattress?